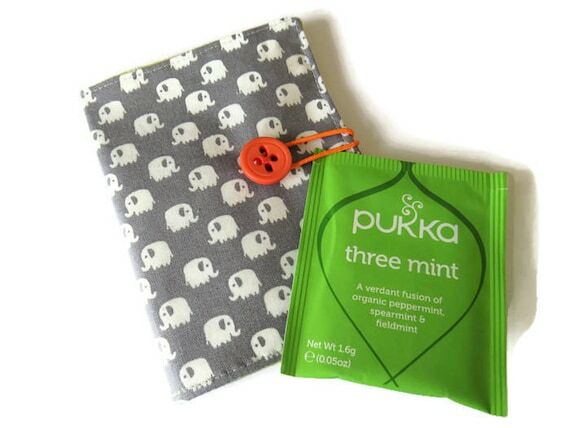 Have crafted this cute little wallet in a grey fabric covered in the dinky little elephants...so hard to resist! On opening the wallet you can see it has been lined in zingy lime green fabric covered in tiny flowers. It closes with an orange elasticated loop and an orange button.